Providing you the best range of jaw crusher with effective & timely delivery. We offer our clients with a wide range of Jaw Crushers that is designed in-accordance with international quality standards and norms. Our crushers are widely used in various laboratories to speed up the process of crushing for ores, minerals, coal, aggregates, chemicals and other material. For excellence crushing, these are equipped with manganese steel two jaws. Due to its sturdy construction and compact design, our crushers are widely used for general laboratory or small plot plant operations. 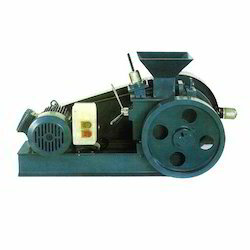 Looking for Jaw Crusher ?